Meet comfort re-engineered, most latex mattresses on the market resort to adding wool or cotton as the top layer for comfort, not the Stratami. This organic mattress features a first of its kind dome-shaped contour latex comfort layer. 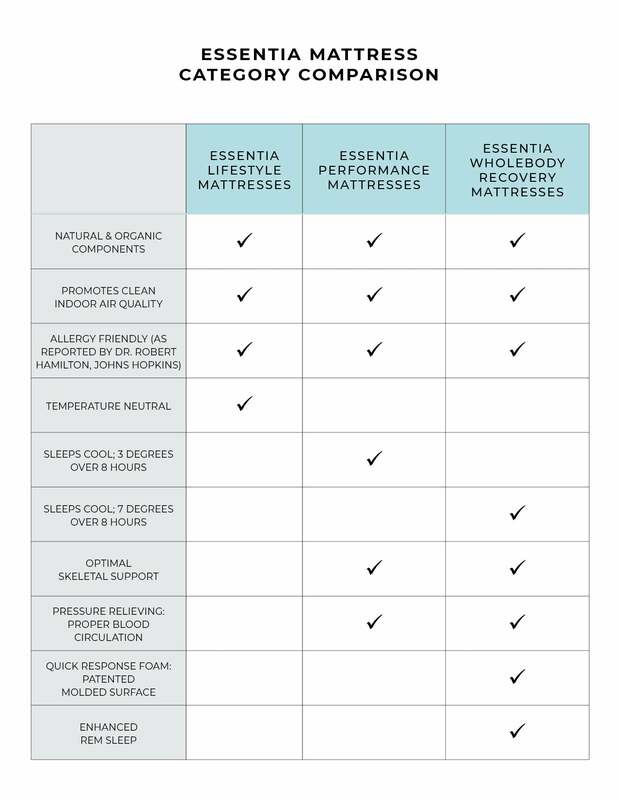 A complete latex core makes the whole mattress compared to other certified organic mattresses that at this price will use coils or innerspring to drive down the cost while a full certified organic latex core mattress will cost up to twice the price of the Stratami. Unlike any other latex mattress on the market, Stratami offers ultimate comfort and support featuring Essentia’s innovative dome-shaped contour latex surface. This layer offer a touch of softness without resorting to using wool, cotton or fiber batting that acts as a nesting ground for dust mites. The Stratami is hypoallergenic and will not stimulate the body by introducing allergens to your environment as reported by Dr. Robert G. Hamilton of the Johns Hopkins School of Medicine. Toxins and VOCs can stimulate your central nervous system, interrupting your deep sleep cycles. Made with natural and organic components, the Stratami promotes a clean air environment so your body can truly recover from the day. The Stratami’s organic foam support layer ensures you are properly supported all night, while the dome-shaped contour comfort layer allows for more air between the body and the surface of the mattress thus reducing pressure. Stratami has been rated as the top foam mattress according to the leading independent consumer publication.